general spacecraft maintenance (or housekeeping) data. A telemetry system may have either a fixed format or several formats which correspond to various operating modes. For example, immediately following launch, attitude data, power supply data, and other data related to the "health" of the spacecraft are needed at a high frequency. Later, these items can be telemetered at a reduced rate and the amount of experimental data can be increased. Failure conditions, such as an undervoltage condition, may cause resumption of a launch-type format. All spacecraft telemetry systems have one or more telemetry formats established before launch. However, it is often difficult to predict which data items will be the most useful. Telemetry systems with programmable formats allow the formats to be changed by remote command during flight. 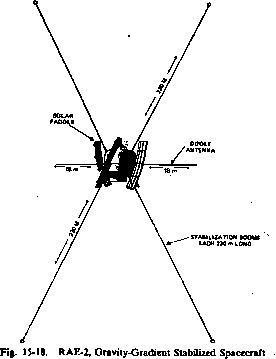 For example, in the SAS-3 telemetry system, several telemetry formats were defined at the time of launch. Within a year, due to the permanent failure of several spacecraft instruments, use of any of these formats resulted in the transmission of a significant amount of useless data. Two new formats were added (by remote command) to allow additional magnetometer and experimental data to be telemetered in place of the useless data. Digital Codes. Although a measurement is telemetered as a series of binary digits, the value of this measurement need not be represented in the natural binary code. Although the binary code is frequently used, other digital codes are more convenient and reliable for certain applications. One of the problems with the natural binary code is that a change of one unit may require a change in several binary digits (e.g., 127lo = 011111112 to 12810= lOOOOOOOj). Thus, if the value is sampled when the bits are changing, it is possible for a gross error to occur. To circumvent this problem, codes have been developed in which only one bit changes per unit change in value. The Gray code, also called the reflected binary code, is the most widely used code of this type and is described in Sections 6.1 and 8.4. Binary codes in which a 1 represents the presence of a pulse and a 0 represents the absence can be generated using simple hardware circuitry. However, errors in such a code arising from minor imperfections in the telemetry system, such as transmission noise or the momentary failure of a relay contact are common. To increase data reliability, error-checking codes are used, the simplest type being a parity code. In parity codes, one bit is added to the original code and the extra bit is set so that the number of bits with value one is always even (even parity) or odd (odd parity). The addition of parity bits to a natural binary code is shown in Table 8-5. With a single parity bit, it is possible to detect bit errors, but not to determine which bit is in error.